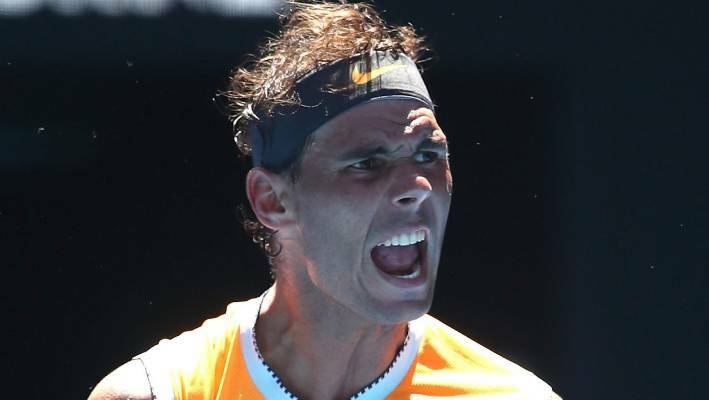 World No 2 Rafael Nadal has reached the second round of the Australian Open beating Australian wild-card entry James Duckworth. Playing in his first match since September the Spaniard eased through 6-4, 6-3, 7-5. It was also his first match back on Rod Laver Arena since he had to retire in his quarterfinal match last year. The 17-time major winner hasn’t played since retiring from his semifinal at the US Open because of a knee injury, and then had surgery on his right ankle in November. Rafael Nadal of Spain celebrates after winning match point in his first round match against James Duckworth of Australia. He withdrew from a warm-up tournament in Brisbane in the first week of the season because of a muscle strain in his thigh. “Not easy to come back after a lot of months [out] of competition, especially against a player playing super aggressive every shot,” Nadal said. Maria Sharapova of Russia celebrates following her first round victory against Harriet Dart. He showed no signs of any issues against Duckworth. His only hiccup came when he served for the match in the ninth game of the third set and was broken at love. He returned the favour very quickly, though, to seal his spot in the second round. Nadal has only lost twice in the first round at Grand Slams. Maria Sharapova is in search of her first grand slam since her 15 month doping ban. Gael Monfils, who turned up in Auckland for last week’s ASB Classic but did not play because of a thigh injury, seemed to have recovered well, beating Damir Džumhur of Bosnia, 6-0 6-4 6-0. Kiwi-raised Briton Cameron Norrie, who lost the Auckland final to Tennys Sandgren, lost in straight sets in Melbourne to American Taylor Fritz, who bowed out in the quarterfinals in Auckland. Jan-Lennard Struff, who made the semifinals in the singles in Auckland and then won the doubles with Kiwi Ben McLachlan, won the first set of his match against Australian Matthew Ebden but lost the next three to lose his first round match. 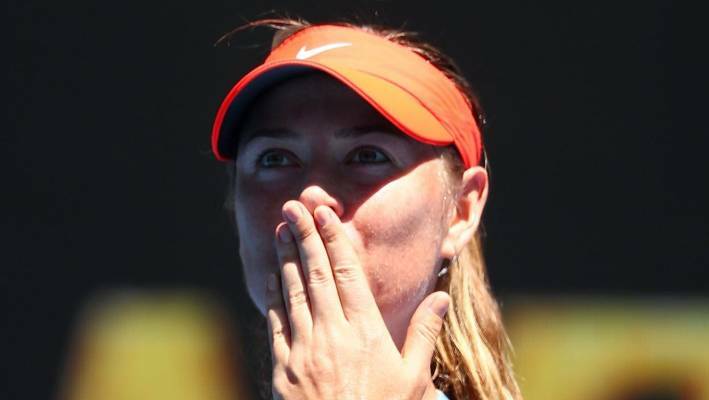 Maria Sharapova eases through the first round of the Australian Open on Monday. American John Isner, who failed to make the quarterfinals in the ASB Classic, dipped out in the first round too. And in a big surprise, Auckland women’s winner, 14th seed Julia Goerges, lost to American Danielle Collins 6-2 6-7 6-7 4-6. 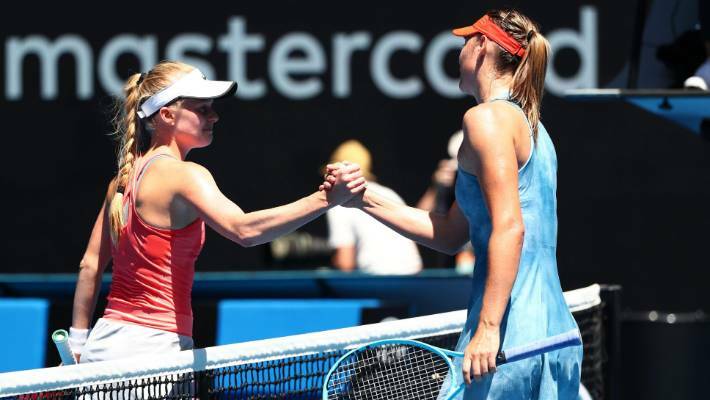 Maria Sharapova has the second-best record among active women’s players in first-round matches at the majors, and she gave an illustration of why that’s the case with a ruthless 6-0, 6-0 win over Harriet Dart. Sharapova said she was still feeling pain in her right shoulder despite sitting out the end of last season after the US Open. Katie Boulter earned the distinction of winning the first 10-point tiebreaker under the Australian Open’s new system for deciding sets. Boulter beat Ekaterina Makarova 6-0, 4-6, 7-6 (6), including 10-6 in the tiebreaker. 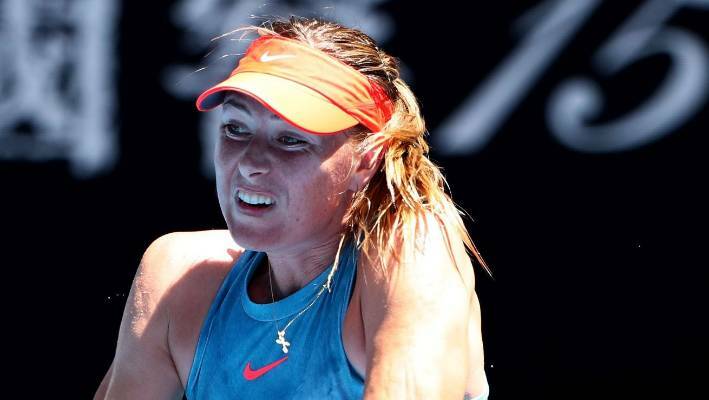 The new rule was introduced to ensure matches don’t get too lengthy _ previously the third set in women’s matches and the fifth set in men’s matches at the Australian Open had to be decided by a two-game advantage. Fifth-seeded Kevin Anderson won his first match at Melbourne Park since 2015 when he beat Adrian Mannarino 6-3, 5-7, 6-2, 6-1. Also advancing on the men’s side were Thomas Berdych, No 19 Nikoloz Basilashvili and No 26 Fernando Verdasco. Defending champion Roger Federer began his quest for a record seventh Australian Open title with a 6-3, 6-4, 6-4 win over Denis Istomin. Playing before a capacity crowd of more than 15,000 at Rod Laver Arena, Federer broke Istomin’s serve at 2-2 in the third set on the way to his seventh win in a row without a loss against the Uzbekistan player. Federer’s seventh Australian Open title would be the most by any player. Novak Djokovic, who plays his first-round match on Tuesday, and Roy Emerson, also have six wins each at the Australian Open, although Emerson’s wins were before the start of the Open era in 1968. A win in Melbourne would also be Federer’s 100th tour-level title, the second man after Jimmy Connors to win 100 titles. Connors had 109. Meanwhile, defending womens’ champion Caroline Wozniacki saved a break point in the opening game but there was little trouble to follow as she beat Alison Van Uytvanck 6-3, 6-4 in the first round. Woznicaki, who saved both break points she faced, clinched the match on her third match point with a forehand to the open court. Britain’s Andy Murray pulled a full house for what is likely his last match at the Australian Open, but despite having the capacity crowd in his corner, he lost to No. 22-seeded Roberto Bautista Agut in the first round.